Lyft has acqui-hired the team behind Leo, a disappearing messaging app for one-on-one or group conversations. 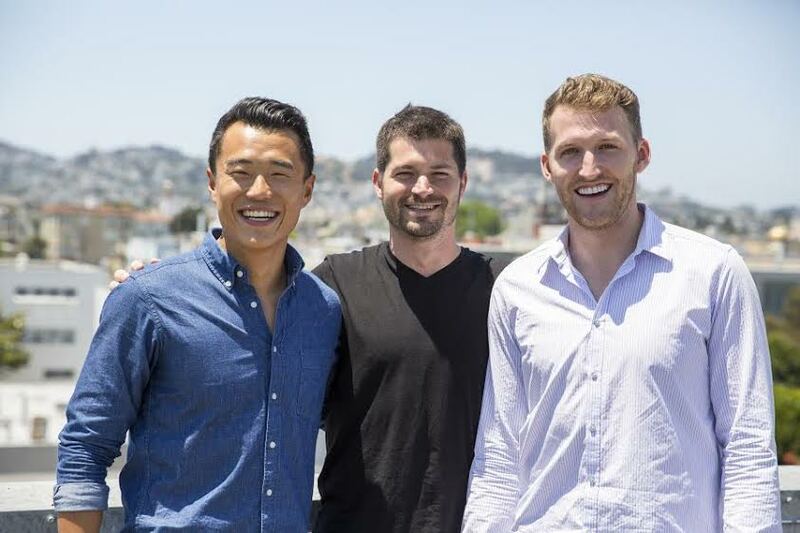 We’re told the deal was finalized this past weekend and that co-founders Carlos Whitt, Austin Broyles and Jisi Guo started their new jobs at Lyft on Monday. This is the ride-hailing platform’s fourth acquisition to date after Hitch, Rover and Cherry. It’s also one Lyft hopes will improve a number of features within the Lyft app around the customer experience, particularly with helping drivers find passengers. Competitor Uber can already pull a user’s exact location with built-in GPS-tracking technology, but that’s still a clunky process with Lyft. I still have to type in my address or drop the pin to my location in Lyft – even then I’ve experienced a lost driver on occasion. Mobile location technology is something with which Whitt has some experience. He and Lyft’s CTO Chris Lambert worked together on Google’s mobile maps at one point. The two developed that little blue location dot you see on Google Maps. Whitt and Lambert remained friends and started discussing the pain points of the Lyft app a while back – Whitt, I’m told, had an earful of ideas for how Lambert could improve things. But Whitt was not interested in more than sharing his opinion at the time as he was busy building his startup, first with Leo and then with the gif-generating Camoji app. Then Whitt got restless. His apps were doing okay, but not stellar. He knew the app market was a rough one and started to look around at opportunities within other startups. Lambert eventually brought him into Lyft HQ to talk acquisition. Whitt has plans to touch every aspect of the passenger experience within the Lyft app, from the moment someone signs up to when they get to their destination. But his location experience will most likely play a big part in helping Lyft improve figuring out a passenger’s whereabouts. Whitt and Lyft didn’t want to go into details on exactly which features his team will tackle first, but it is conceivable that improving rider and driver location tracking will be part of his focus. Whitt’s team might also work on payments. Whitt and Broyles were at Square before breaking off into their messaging apps startup. The two worked on the Square Cash team and helped implement Square’s payments system with Starbucks while there. Lyft is pretty robust in the customer payments feature – it already incorporates credit cards. But any improvements here wouldn’t be for the passenger. Lyft is pretty solid in the customer payments feature – it already incorporates credit card payments, PayPal and Apple Pay. However, they could work on improving transaction processing and payments to drivers, including features to help drivers monitor their earnings in real-time. Lyft Line could also see some tweaks at the hand of Whitt, Broyles and Guo. Lyft’s Hitch acquisition helped create the Line service, which now accounts for more than 50 percent of the ride hailing platform’s transactions in San Francisco and more than 30 percent of them in New York City. Improving the routing points for faster rides and better matches with co-riders close by would not only improve the customer experience but would allow drivers to pick up more passengers faster and potentially make more money by increasing the number of rides. Improving the experiences within that offering will likely be a priority for the engineering team. Lyft contracts with more than 100,000 drivers and provides more than 2 million rides per month in just the U.S. And despite several regulatory barriers, it’s also on an upward growth trajectory. According to Lyft, the startup grew by a magnitude of 5x’s in both rides and revenue in 2014. But there’s a lot of work for Whitt and team to do to turn the app into a smoother experience for both customers and drivers in the coming months. Leo and Camoji will sunset in a few weeks and the team will now work full time improving Lyft’s mobile app.